A little diary comic for you all while I wrap up the last quarter of my first year in graduate school… oi. 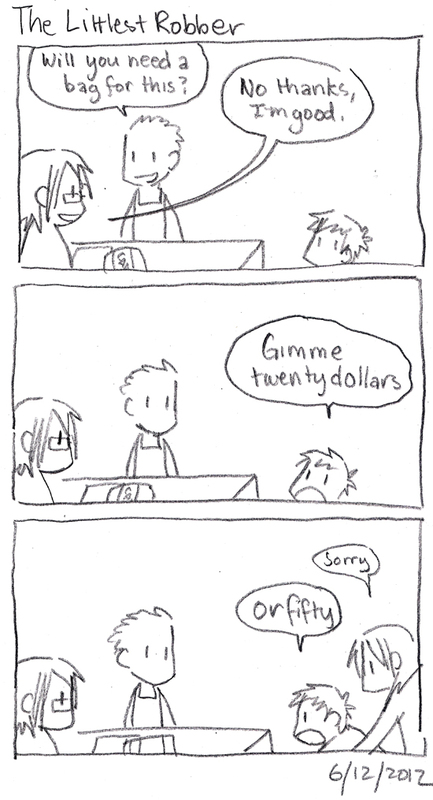 This was adorable, and the best part was that the cashier actually tried to haggle the kid down for a while. Cashier: How about I give you a penny? Cashier: Twenty dollars in store credit, how’s that sound?